Tempura is like the Japanese version of our fish and chips but infinitely better. The batter is so much lighter. Consequently, it won’t leave you with that queasy feeling people often get after eating greasy food. It is not reserved for fish and potatoes either. The Japanese deep fry everything: from green beans, eggplant and capsicum to even a single edible leaf. Nonetheless, it all tastes wonderful! The key to great tempura batter is to keep all the ingredients and the batter as cold as possible. The kids should enjoy this novel way of eating their veggies and it is a great dish to practise using chopsticks. Serve with sushi rice, soy sauce and shredded cabbage. Prepare the vegetables and fish by cutting them into the correct sizes where necessary. 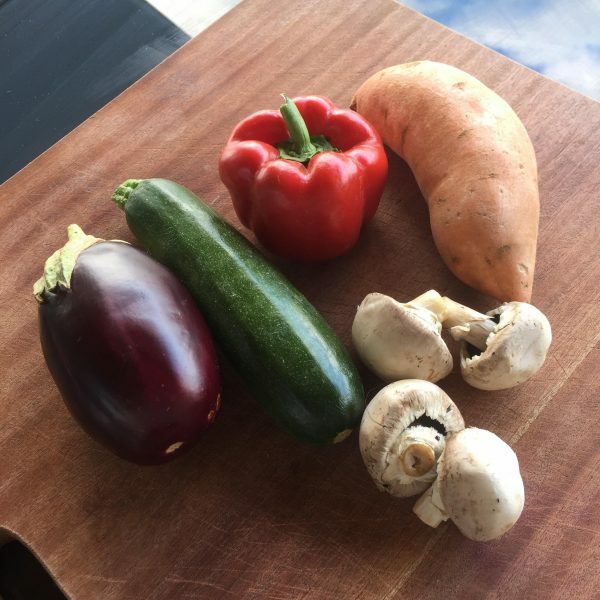 Store the vegetables and fish in the fridge to keep them cool. Sift and mix the flours and bicarb together in a bowl. Next, make a well in the centre. Add the egg and soda water or chilled water into the well. Pour the vegetable oil into a wok or saucepan and heat until a dropped breadcrumb bubbles to the surface. One by one, put the vegetables or fish pieces in the batter and then cook in the vegetable oil. Cook for a couple of minutes each or until the batter turns golden. When cooked, place them on a plate with paper towel to drain. Serve the tempura with boiled rice or shredded cabbage and soy sauce for an authentic Japanese meal. Alternatively, serve with a fresh green salad. 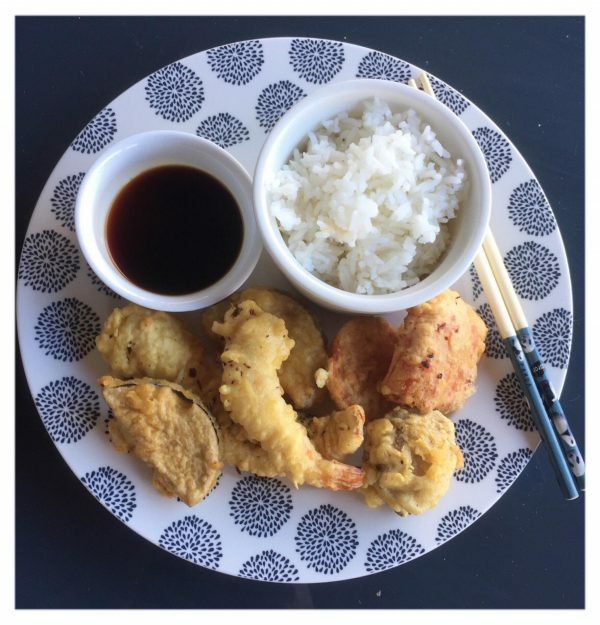 This entry was posted in Recipes, The Organic Place and tagged easy recipe, Family Friendly, fish tempura, Japanese recipe, kid friendly, organic vegetables, recipe, tempura, tempura batter, The Organic Place, vegetable termpura.